The Maldives normally create images in our mind of luxury holidays. This is a false image [see also: https://humanrightsdefenders.blog/tag/maldives/]. On Sunday, 23 April 2017, a prominent blogger and social media activist, Yameen Rasheed, was found in the stairwell of his residence in the country’s capital Malé with multiple stab wounds to his head, neck and body. Mr. Rasheed died of his injuries. The UN, Front Line and others expressed deep alarmed by Mr. Rasheed’s killing and urge the authorities to ensure that the investigation into the murder is prompt, thorough and that the perpetrators are brought to justice. Mr. Rasheed had in December reported to the Maldives Police Service that he was receiving targeted death threats following the publication of his photo along with those of others on an anonymous Facebook page, but he complained that he had to follow up for three days just to get a confirmation that his complaint had been registered. Mr. Rasheed’s killing comes in the context of what appears to be an upsurge in arrests and prosecutions of the political opposition. Yameen Rasheed [see his profile: https://www.frontlinedefenders.org/en/profile/yameen-rasheed] was a prominent human rights defender and social media activist in Maldives. Through his blog The Daily Panic, he was an outspoken critic of government corruption and was vocal against impunity for crimes against journalists and attacks of freedom of expression committed by radical Islamist groups. Yameen Rasheed was a close friend of Ahmed Rilwan Abdulla, another well known Maldivian journalist, blogger and human rights advocate, who was abducted and disappeared in 2014. 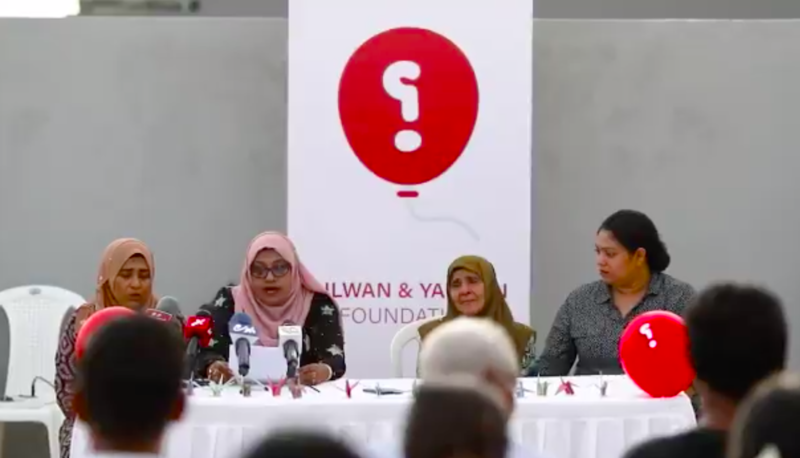 Since 2014, Yameen Rasheed had been working to obtain justice for Rilwan, and was recently coordinating with Rilwan’s family to file a case against the Maldives police on the investigation of Rilwan’s death. In 2015, he was arrested along with 200 other activists and imprisoned for three weeks after taking part in a pro-democracy rally in the capital. Maldives has a troubling history of attacks targeting human rights defenders, journalists and bloggers. On 5 June 2012, blogger, LGBT activist and journalist Ismail Khilath Rasheed, also known as Hilath, was stabbed by radical Islamists. On 8 August 2014, prominent HRD Ahmed Rilwan went missing and has not been heard of since then. On 4 September 2015, human rights lawyer Mahfooz Saeed [https://www.frontlinedefenders.org/en/case/case-history-mahfooz-saeed] was brutally attacked by two unidentified men, see: https://humanrightsdefenders.blog/2015/09/07/mahfooz-saeed-lawyer-of-maldives-ex-president-stabbed/. It would seem therefore that the groundbreaking legal proceedings (October 2016), which the ISHR has brought to the UN Human Rights Committee have a lot of merit. It was requested to rule that the Maldives violated international law by restricting human rights defenders from submitting information to the UN. In what is the first case filed with the UN on behalf of former members of a national human rights institution, ISHR has asked the UN Human Rights Committee to authoritatively rule that there is a legal right to submit information, evidence and reports to the UN and that restrictions on this right, or reprisals for exercising this right, amount to serious breaches of international law. The case could have wide-ranging implications, as a number of countries seek to criminalise or prosecute people to prevent them from exposing human rights violations at the UN. Assisted by ISHR, Ahmed Tholal and Jeehan Mahmood, former Commissioners of the Human Rights Commission of the Maldives (HRCM), have filed a communication with the UN’s Human Rights Committee to highlight the Maldives’ failure to ensure their right to share information freely with the UN without reprisal. The HRCM was prosecuted in 2015 by the Supreme Court in the Maldives following a submission made by the HRCM on human rights in the Maldives to the UN’s Universal Periodic Review….The Court ruled that the HRCM’s report was unlawful, biased and undermined judicial independence, and ordered the HRCM to follow a set of guidelines designed to restrict the HRCM’s work and its ability to communicate with the UN. ‘The decision of the Supreme Court to restrict the activities and independence of the Commission is incompatible with the right of safe and unhindered communication with UN bodies, and the prohibition against reprisals for exercising that right. Such a decision by an arm of government is a clear breach of international law,’ Ms Sinclair of ISHR said. Background to the case can be found here. Cuban blogger Yoani Sánchez explains how technology is helping to break the information monopoly the Castro dictatorship has maintained for more than fifty years. In a country where purchasing internet access costs up to a third of the average salary, Sanchez says thumb-drives loaded with information are a vital tool of progress. Cuba is the last dictatorship in the Americas, but change is coming, and Sánchez is convinced that—aided by more information and education—the next revolution will lead to the democracy the Cuban people desire and deserve. This video is a bit older (Oslo Freedom Forum 2014) but still relevant. 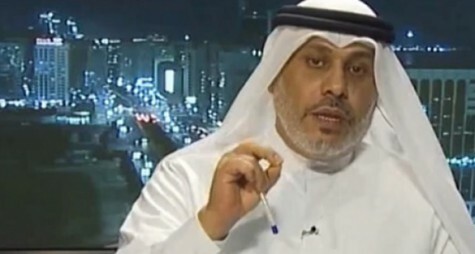 A group of 10 NGOs has called on the authorities to immediately release human rights defender and professor of economics Dr Nasser Bin Ghaith, who remains in detention in an unknown location in the United Arab Emirates (UAE) for his social media posts and human rights activities. Nasser Bin Ghaith has been denied proper access to his lawyer or family since his arrest in August 2015, and reportedly subject to torture in custody. The continued detention and charges violate his human rights, including his right to free expression. On 18 August 2015, security officers in civilian clothes arrested Dr Bin Ghaith in Abu Dhabi and searched his home and confiscated personal items including electronic memory sticks. He was held incommunicado until finally being brought to the State Security Chamber of the Federal Supreme Court in Abu Dhabi on 4 April 2016, when he told the court he had been tortured and beaten in detention and deprived of sleep for up to a week. On 2 May 2016, a second hearing took place to examine charges against Dr Bin Ghaith relating to his online postings. 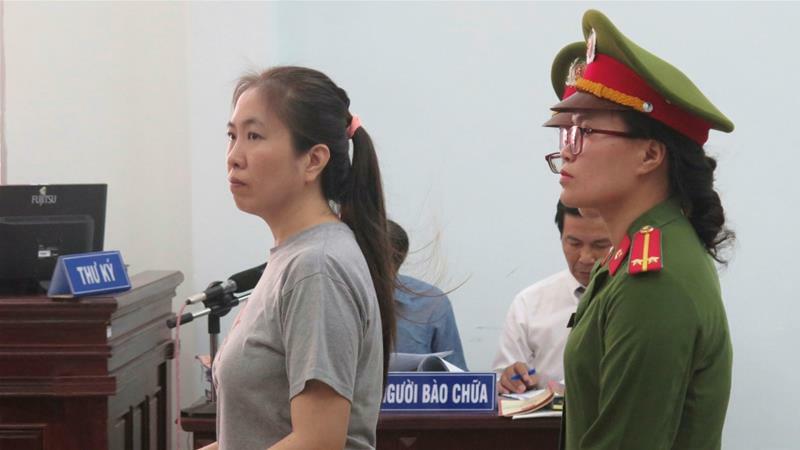 He stated that he is still being held in secret detention, a fact he had previously brought to the judge’s attention during his hearing on 4 April. The judge refused to listen to his complaints for a second time. Neither his family nor his lawyer knows where he is being detained, and his lawyer’s request to visit him has been denied repeatedly. Dr Bin Ghaith is one of a group of men known as the “UAE5” who were imprisoned in 2011 and tried for “publicly insulting” UAE officials. That trial also breached international human rights law and was widely criticised by human rights groups, including signatories of this letter. A further charge brought against Dr Bin Ghaith of allegedly “posting false information about UAE leaders and their policies, offensively criticizing the construction of a Hindu temple in Abu Dhabi, and instigating the people of the UAE against their leaders and government” was related to a statement he made on Twitter intending to promote tolerance. The court ordered the case to be adjourned until 23 May when the defence’s arguments will be heard. Maâti Monjib, Hicham Mansouri, Samad Iach, Mohamed Elsabr and Hisham Almiraat are facing charges of “threatening the internal security of the State”, an offense that can lead to up to five years in prison. Rachid Tarek and Maria Moukrim are facing charges of “receiving foreign funding without notifying the General Secretariat of the government”, which if found guilty, can result in fines. The trial for the case is scheduled for 19 November, 2015. Morocco has seen a dramatic increase in human rights violations and attacks against journalists in the past year. Crackdowns on independent media, human rights defenders and civil society have led to a stifling environment that limits freedom of expression and association in the country. We call the international community’s attention to the continuous interrogations, harassment, threats and arrests, as a deliberate attempt by the Moroccan authorities to silence dissidents. Freedom of expression is a fundamental human right (Article 19 in the Universal Declaration of Human Rights). The Moroccan government violates this universal right with the charges. 16 international and regional NGOs concerned with freedom of expression urge the Moroccan authorities to drop all charges and end the harassment of human rights defenders and journalists. 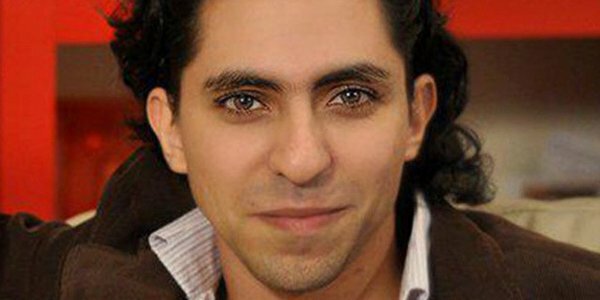 The Saudi blogger Raif Badawi, whose flogging sentence caused a global outcry, is awarded the 2015 Sakharov human rights prize. Mr Badawi was sentenced to 10 years in jail and 1,000 lashes in Saudi Arabia for “insulting Islam”[https://thoolen.wordpress.com/2014/05/08/the-middle-ages-are-back-10-years-prison-1000-lashes-for-saudi-human-rights-defender/]. European Parliament President Martin Schulz urged Saudi King Salman “to free him, so he can accept the prize“. Mr Badawi’s wife Ensaf Haidar, now living Canada with their children, told AFP news agency that award was a “message of hope and courage”. For more on the prize: http://www.brandsaviors.com/thedigest/award/sakharov-prize-freedom-thought. [Earlier this year Badawi also won the Pen Pinter Prize and the Moral Courage Award]. Badawi was one of three nominees for this year’s prize along with assassinated Russian opposition leader Boris Nemtsov and the Venezuelan opposition movement Mesa de la Unidad Democratica.